The 2014 French Open (also known as Roland Garros, after the famous French aviator) is a tennis tournament played on outdoor clay courts. 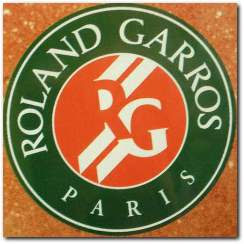 It is the 113th edition of the French Open, and the second Grand Slam event of the year. It is taking place at the Stade Roland Garros in Paris, France, from May 25, 2014 to June 8, 2014. The 2013 Wimbledon Championships Tennis tournament will take place on the outdoor grass courts at the All England Lawn Tennis and Croquet Club in Wimbledon, London, England, United Kingdom from Monday, June 24, 2013 through to Sunday, July 7, 2013. It will be the 127th staging of the Wimbledon Championships, and the third Grand Slam tennis event of 2013 ATP World Tour and the 2013 WTA Tour. Rafael “Rafa” Nadal rewrites history and just become the first person ever to win 8 titles at the same Grand Slam tournament, the French Open title, when he defeated fellow Spaniard seed number 4 David Ferrer in the Open final Sunday afternoon, 6-3, 6-2, 6-3 in just over 2 hours. Nadal broke the Men’s Singles record for match wins at Roland Garros, where he improved to a 59-1 where his lone defeat was against Robin Soderling in the 4th round in 2009.